As we are nearing the ninth anniversary of September 11 this year, perhaps it is time to remember what happened all those years ago. Everyone remembers where they were when they first heard about it. The world changed because of it. For a brief moment in history, everyone was reaching out to the families who lost their loved ones in the Twin Towers. But for many of us, September 11 was experienced at a distance. I did not personally have any friends or family in the towers. I did not experience the intense grief that many did on that day. 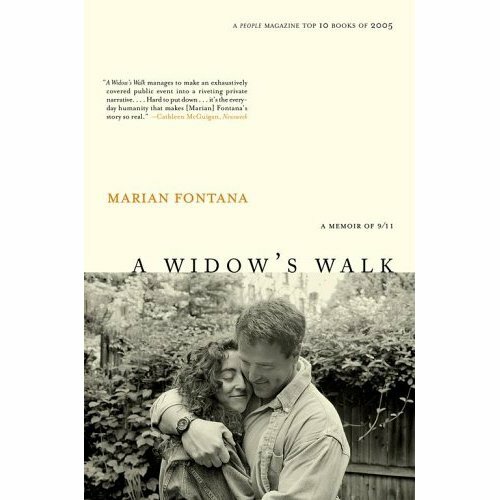 So it was eye-opening to read through Marian Fontana’s memoir A Widow’s Walk. Marian was going to meet up with her husband, Dave, to celebrate their 8th wedding anniversary on September 11th, 2001. But before Dave, a firefighter from Squad 1, could leave the building to meet with his wife, the call came in and Dave lost his life trying to save people from the Towers. A Widow’s Walk chronicles the first year of Marian’s life after Dave’s death in the Towers. From the endless funerals and the fears of single parenthood to the kindness of strangers and her desire to help her firefighter friends, Marian documents everything. A Widow’s Walk is a beautiful book that offers a glimpse into both the terrible grief and the wonderful hope that was the aftermath of September 11th.